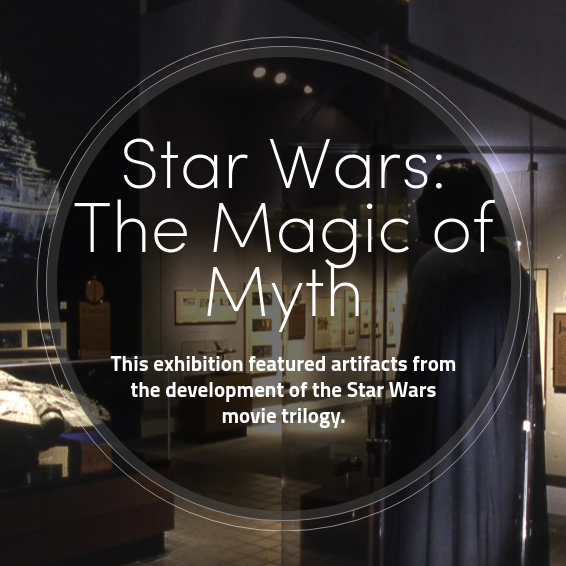 The “Star Wars: The Magic of Myth” exhibition closed at the National Air and Space Museum on January 31, 1999. This online exhibition will remain available for an indefinite period of time. For over 100 years, science fiction stories and films have stimulated the imaginations of many scientists in the forefront of discovery, encouraged young people to choose the sciences as a career, and shaped our visions and expectations of future space travel. Among all of these science-fiction tales, the Star Wars film trilogy has proven to be a very special inspiration. Star Wars: The Magic of Myth was inspired by Joseph Campbell’s story of the “hero’s journey” presented in Hero With a Thousand Faces, and by comments on the Star Wars films in the book and video series The Power of Myth.